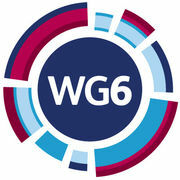 WG6 provides an exciting next step in your education. It offers a wealth of opportunities from academic to extracurricular activities. As a co-educational provision, it is a natural stepping stone to help prepare you for the transition to the world of work or higher education. A typical Sixth Form programme will comprise of 3 A2s along with a choice of an additional AS subject or EPQ (Extended Project Qualification). All students have the opportunity to complete a week of bespoke work experience or work shadowing in the Summer Term of Year 12. We encourage students to further enhance their positive Wilmington Mindset through the range of extra-curricular activities we offer which include many leadership opportunities. All students are supported with excellent careers information, advice and guidance throughout their time in WG6 with a dedicated careers advisor and work experience coordinator. They are supported through University, job or apprenticeship applications. There is additional support available for students wishing to apply to prestigious universities and/ or degree apprenticeships through our bespoke ASPIRE 6 programme. We look forward to working with you in WG6!